If you are spending time in historic Monterey, chances are you will stop by Cannery Row. While there are many things to do while on Cannery row, one great option is to learn about the history of the area and California is to visit the Spirit of Monterey Wax Museum. 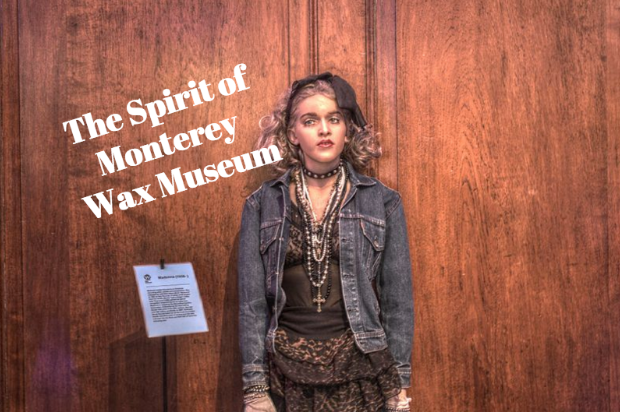 The Spirit of Monterey Wax Museum is truly a unique experience to learn more about the history of the area. The Wax Museum features old school animatronics that will help you learn all about the history of the area. In fact, the museum will take you through 400 years of California history, focusing especially on the Monterey area. The museum is set up so that you walk past various exhibits starting with early California history and the Native Americans that originally called the area home. As you continue to walk, you will learn more interesting information about the pioneers, church leaders and of course John Steinbeck and how the area influenced his work. In front of each exhibit, there is a button that guests push in order to activate an audio track and lights that show you where to turn your attention to. The audio track will provide insightful information that any visitor to the area will love. In the museum, there are over 100 different wax sculptures that all play their part in telling the history of early California. You’ll find the building located inside the Cannery Row building located at 700 Cannery Row in Monterey. Don’t forget to enjoy the interactive staircase that will lead you down to the museum. The staircase is a piano staircase where you can “play” a note of the piano as you walk down the steps. The stairs will be great fun for kids of all ages.